Overview: Wondering whether it will be worth it to homeschool high school? The answer is YES YES YES for these 10 reasons! From a mom who has been there!! My husband and I are always the weird ones. It seems like we are always doing things differently than everyone else. Can you relate? We definitely broke the “rule” that says you should take homeschooling year by year and not make a commitment to homeschool your children beyond the year you are currently doing, reevaluating each year to determine whether or not it is best for your children or your family. I can see the wisdom behind that way of thinking — but we’ve never done it that way. My husband and I have always known, from the very beginning when the eldest was in pre-K, that our goal was to homeschool high school. And you know what? We’ve never regretted that long-term outlook. Homeschooling our kids through the high school years has been one of the highlights of our homeschool journey. 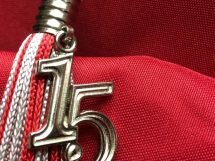 Having graduated three (the fourth this year!) from our homeschool, with one more to go, I am so thankful that we committed to that goal long ago and have not departed from it since. Aside from the fact that I learned that it’s not that hard to homeschool high school (which is a big motto of mine, y’all, so get used to hearing it, lol) I can think of ten reasons why it’s been a wonderful thing for us to keep our kids at home through the high school years. 1) Our kids learn to work independently. I’ve written before about how I love independent learning, that I think it is one of the most important things to teach our children. Well, the high school years are when this occurs. Students that are homeschooled through high school learn to take ownership of their own schooling, doing almost everything for themselves — reading the lesson, answering the questions or working through the problems, checking their work, studying for the test, etc. This is key, because it prepares them for college, where they must take full responsibility for making sure they understand everything and keep up with the syllabus. No one will hold their hand there or even really notice if they fall behind. Even if they don’t go to college, the independent learning they practice during the high school years will instill in them a lifelong learning habit. This is a good thing. For more information about HOW to teach your teen to learn on their own, check out my post called How to Teach the Most Valuable Skill Your Child Will Ever Need. 2) Character development remains a crucial focus. For us, one of the biggest reasons we chose to homeschool in the first place was the character and demeanor of the high school kids around us. We were impressed with those who were being homeschooled — not so much with those who were not. My own opinion is that too many parents give up working with their child’s character too early. When our kids are home for high school, we are able to see first-hand who they are becoming and help guide them to make wise choices on a daily basis. They have no opportunity to hide aspects of their character from us. We are not dependent on their teachers to tell us about their behavior; we see for ourselves and can respond accordingly. At a time in their lives when character is being solidified, this is key. 3) Our children are not exposed to peer pressure — or at least, not as much. This is directly related to point #2. Our homeschooled teens are able to develop their own individuality without concerns about fitting in or being popular. Their innocence is protected for just a little longer. I want my kids to feel confident in who they are before they have to stand firm in an often harsh world. And we all know that the public (and possibly private) high school can be one of the harshest places out there. 4) Our kids have the time and opportunity to really focus on what interests them. They can try multiple things or specialize in just one or two. Because they are homeschooled through high school, their schedule is more open for really digging into a hobby or career path. For instance, my daughter was able to practice her violin for 3+ hours a day — and we could count it as high school credit. A homeschooled teen can pursue an internship at a local employer (and work during school hours), or spend time concocting culinary masterpieces, or even start a business. Going to a school would not provide them opportunity for such focused effort. 5) There is time to talk. The teen years are a wonderful opportunity to talk with our children. They are thinking through so many issues at this age, and having them at home means we are there to listen and discuss when they are of a mind to share. This helps cement the relationship between child and parent, so the child knows they have a safe place to come for help. And it helps us to see their heart. This is invaluable. 6) Sibling relationships remain important. Having our kids home through high school meant that they had no opportunity to separate themselves from younger siblings — though they sometimes wanted to, lol. While it is true that being together all day every day means conflict resolution gets practiced often, lol, it also means there is greater opportunity for doing things together and just having fun with one another. The high schoolers learn to serve the youngers. The youngers don’t feel left behind, and they have more opportunity to watch their older siblings’ example. There is a sweetness in watching siblings interact that doesn’t happen if they get sent off their separate ways every morning. 7) There is time for reading. If you’ve read this blog for any length of time, or followed my Facebook page (where I talk about it even more often), you know that I am a reader. And my kids are readers. Being home through high school means my kids have more opportunity to read for reading’s sake. 8) We can be spontaneous. I LOVE this aspect of homeschooling through high school. If we want to postpone school and head to the local theme park for a couple hours, we can do it (and the lines are SHORT!!). If my husband needs help hauling wood, we can all put our books down and go pitch in. If someone comes across a hilarious Jimmy Fallon clip on YouTube, we can watch it together for a little break. Even more important for our family is the fact that we can adapt to my husband’s travel for work — when he is gone we can work harder, so that when he is home we are more able to spend time with him. If my kids went away from home for school, they would not see him nearly as much. 9) Our kids can get the rest their bodies need at this age. There is a reason teens are known for sleeping in — because their bodies are changing and growing so much and so quickly that they need A LOT of rest. Our kids don’t have to get up super early in the morning to catch the bus or be in class. If they are caught up in their work, they can even sleep in on a weekday! If their body needs sleep, they don’t have to deny it and run the risk of getting sick — nor of being cranky or emotional, lol. Teens are predisposed towards drama anyway; no need to exacerbate that due to exhaustion!! I’m linking up with the gals at the iHomeschool Network today! Everyone is talking about Homeschool Gifts — things that they are thankful for about homeschooling. Click on the image to read their great articles! We’ve had very similar experiences homeschooling high school, and even though I’m done with it for a while (oldest is headed to community college for her Junior and Senior year), having it under my belt gets me excited to continue the journey with my little ones. I really appreciate fostering the sibling relationships because so many public school counterparts act like their siblings are such a nuisance! Yes, Shannen, that is so true! I love that we are not a set of independent people who happen to live in the same house, but my kids truly care for one another and enjoy spending time together. Although I am a parent of 4 public school children and feel that is where the Lord wants us to send our kids right now. 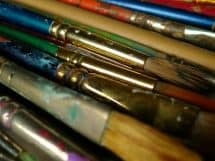 This article makes me kind of envious in a good way and wish we could of gave homeschooling a shot. Anyway a shout out to the article and all the homeschoolers that are doing it the right way and Gods way!! My parents tried to homeschool me in fourth and fifth grade with Abeka and Bob Jones curriculum. I hated it. It was too structured and I missed my friends. Now I am in my 30s and I clearly see the opportunity in homeschooling children. What’s the one link you would give people who want to homeschool but need to start from square 1? Any tips on getting started with homeschooling twins 6, and a 9 year old? Im struggling please help. I am starting home schooling but worried it’s the right direction if my high schoolers want to go to a CSU college and play pro sports. Can you give me advice? You will need to check which college sports organization the college is affiliated with — such as NCAA or NAIA — and be sure to fulfill the requirements for your kids to qualify. It’s usually not a big deal, just a bunch of paperwork hoops to jump through. Homeschooling is still a viable option for those who want to play sports! 🙂 Thanks for the question, Juanita! I sure needed to read this article. I have been homeschooling the last three years my oldest daughter thru her middle school years. Now we are looking at “what to do” as we approach high school. I will be doing three years of homeschooling with my youngest daughter who will be entering middle school this fall for sure. Feeling so stressed, incompetent, fearful, and many other emotions trying to figure out what is best for my soon-to-be highschooler. My husband does not want her to go to high school, I’m kind of on the fence but I would like to keep her home if I am capable of teaching what she needs. She is a straight A student and I don’t want to be a hindrance. Any advice? I just read your response–thank you so much for taking the time! I will look into CC again. I have considered it in the past….right now it is hard to find many high school levels (Challenge A and B) offered in our area for some reason. Maybe because many parents opt to put their kids in school once they hit high school…? This is the pattern I keep seeing! I appreciate your suggestion. Yes, they do. And it’s too bad! Hang in there, Ashley! Currently at my wits end with only 1 child left at home who is a very strong willed teen. Kinda feel like a failure if I continue homeschooling or if I decide to send him to regular school. I homeschool my 11 year old son, and always thought it was hard to Homeschool in High School. This was very helpful. I also love the hugs that I receive every day, and my son has started preparing meals for me spontaneously, as we’ll as starting to do his work on his own sometimes. A highlight recently has been that he demanded, or better said, complained that lately I had not read enough novels to him. (We love to read to him, although he reads on his own as well). This summer we are preparing to build a small sailing boat with a master boat builder in Maine. We could not do this if he was Homeschooled. Recently, we went to a Christmas concert with 4 of his friends that are in a private School. They were laughing during the concert (Christmas Choral a cappella music). My son decided to seat in another row, in front of them. Later, he commented to our doctor that it was very embarrassing that his friends were behaving that way. He is more mature , independent and has a character that I do not see on his friends at School yet. As a teen who is currently being homeschooled, I have to say that homeschooling teens won’t be hard if you’re dedicated to your kid(s). But problems will inevitably arise if you become busy with so much other stuff that you leave your teen unmotivated and more importantly unguided. That’s where I currently am; kinda stuck. So, for all homeschooling parents: just be aware of when things aren’t working, and be willing to make needed changes to your kid’s homeschooling. This is a nice article. Wish my parents would do these things. I like most of what you had to say, except for the part of sleeping in. My kids are homeschooled and they get up every school day at the same time: 6:00 am. There are days where do sleep in a little later, but only for good reasons, like we got home late Sunday evening from a holiday party with our family. We get our chores done and eat breakfast and start school at 7:30. It actually frustrates me when homeschooling parents regularly let their kids sleep in. If the child needs more sleep, then perhaps they should be going to bed earlier, not getting up later. There is discipline in a routine and our job as parents are to teach them to be productive members of society as adults. One day they will be getting jobs and need to work regular hours. 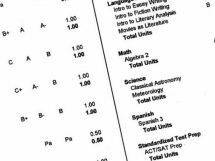 Some many homeschooling families that I see have low expectations for developing a good work ethic, and then its no wonder they struggle in the college years. Hi. What advice would you give me about pulling my boys who have been in public school since kindergarten. Their kind and smart boys that have good character traits, but compared to their Public school peers I’m fearful they may get swallowed up in HS. I’m concerned about them haveing to “switch gears” so drastically that they may think they now live an all year summer vacation. You are absolutely right and on point . Our teenagers can go at their on Pace . Stress free and flexible . My teenage dudv summer classes and she will now begin 7 th grade . She wants to go back to traditional school but l struggle to change her mind she needs to get use to it. Homeschooling l would highly recommend it. I wrote a post about when your teen wants to quit. You can see it here: When Your Teen Hates Homeschooling High School: What to do and what NOT to do. Maybe it will help, too. HUGS! AMEN! Thanks for sharing all these sweet, valid reasons. It’s a joy and the support people like you provide for others really means a lot! What a great article! Thank you for sharing this. I agree whole heartedly, but needed to see this encouragement as I’ve recently found myself doubting homeschooling my newly 9th grade daughter. The bit about sleep…thank you for testifying that more isn’t less! She definitely benefits from extra shut eye which in the end we ALL benefit from lol! God bless you and your family on this beautiful journey. I agree with all your points; I’ve seen them first hand as we have homeschooled two through high school. One graduated college, the other graduates in the spring. I’m amazed at how well they figured out college life on their own. I feel like we didn’t lose them to the world, even for a short time. The third one is now in ninth grade and has been and remains a struggle, academically and in attitude. Still, I’m glad he’s struggling at home without the peer pressure that he seems so succeptable to. Hi Alison, I recently wrote a post all about socialization. 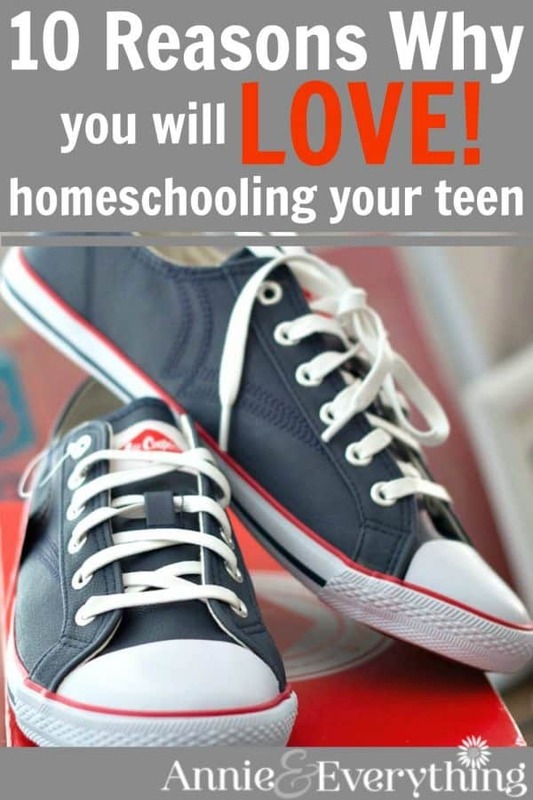 You can see it here: 100 Ways to Socialize Your Homeschooled Teen. I hope it helps to ease your mind that you can provide what your teen needs! Hugs!